In 1950, Naik Jadunath Singh was posthumously honoured with the Param Vir Chakra for his bravery and sacrifice for the nation. 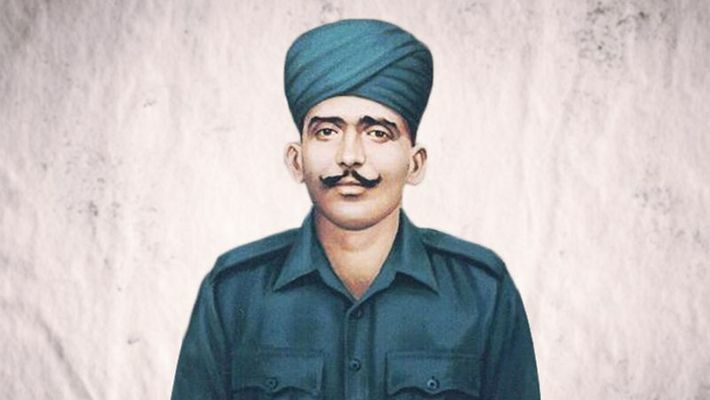 On this day in 1948, Naik Jadunath Singh of the Rajput Regiment lost his life in an encounter with Pakistani troops while guarding a forward post at Tain Dhar in Jammu and Kashmir's Nowshera sector. Singh was awarded the Param Vir Chakra for his valour and continues to inspire generations. On Singh's death anniversary (February 6), we recall the gallantry he displayed while warding off the Pakistani soldiers in Jammu and Kashmir. Singh was born on 21 November, 1916 in a remote village of Uttar Pradesh's Shahjahanpur district. Having been born in a poor farmer's family, he did not have the luxury of good education, but he was a champion wrestler and grew up with a very strong character. Singh joined the Rajput Regiment in November 1941. He was placed in the First Battalion after training and even took part in the Second World War. Even after getting Independence from the British, the relationship between India and Pakistan remained sour due to Partition. Pakistan wanted to capture the Tain Dhar post. It would have meant a strategic win for Pakistan due to the post's proximity to the Srinagar airfield. Owing to the brave effort of Singh, the Indian Army was able to defend the post and inflict heavy casualties on the Pakistani army. It left the Pakistani soldiers with no option but to retreat. Singh, along with his comrades, tackled the Pakistani troops with remarkable bravery. He displayed exemplary leadership on the battlefield. He single-handedly drove the Pakistani troops to retreat twice. He was the last man standing as every other soldier guarding the post had succumbed to their injuries due to successive attacks. Wounded and alone, Singh could have just given up but he charged at the enemy with full vigour. Unfortunately, Singh got shot in his head and chest, and fell in battle, but not before saving Nowshera. In 1950, Singh was posthumously honoured with the Param Vir Chakra for his bravery and sacrifice for the nation. The Param Vir Chakra is awarded for a conspicuous act of bravery or some daring or pre-eminent act of valour or self-sacrifice in the presence of the enemy.